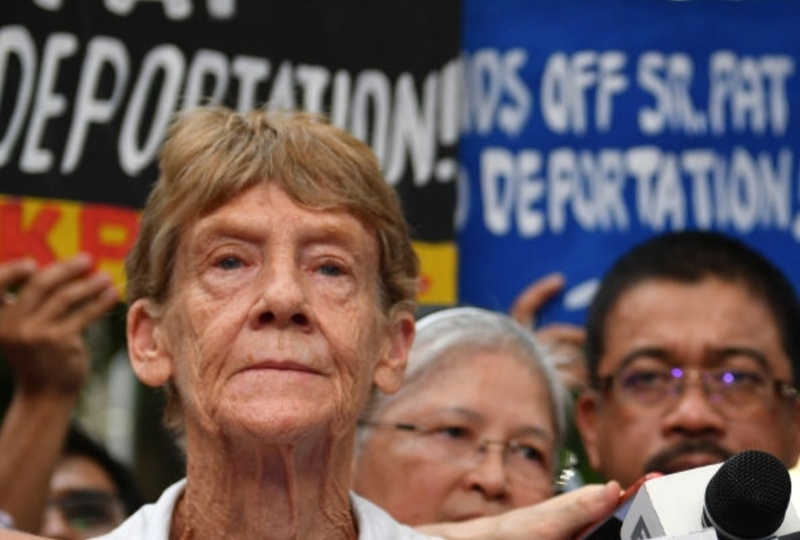 In its ruling granting Sister Fox's appeal, the DOJ says visa forfeiture proceedings have no legal basis; what is provided by the law and BI Rules is visa cancellation proceedings. 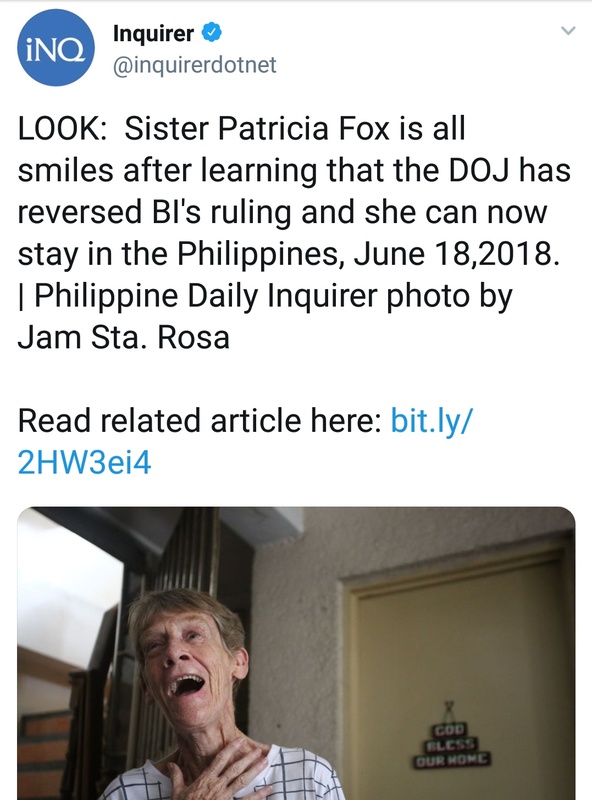 Thus, BI ordered to commence the correct procedure (visa cancellation) vs Fox. In short, the Department of Justice is only clarifying; that's not the way to kick Fox out of the Philippines, THIS is the way. Evidently, Fox has so far not learned from this experience and reportedly continues to engage in political activism whilst in the Philippines. 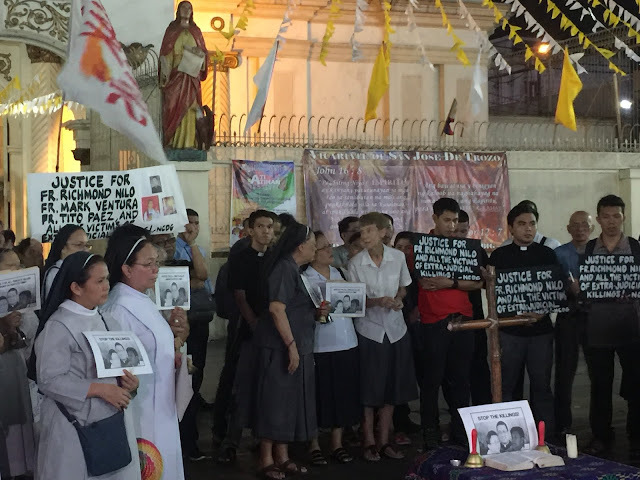 "Australian Missionary Sr. Patricia Fox joins church groups and leaders in protest in Plaza Miranda to call for respect for human rights"
In July 2015, then Justice Secretary De Lima signed Operations Order no. SBM-2015-025 banning foreign tourists from engaging in political activities in the Philippines.